Cara Linehan Buckwell had raised research funds after her sister died six years ago while waiting for a liver transplant. As Cara Linehan Buckwell prepared for the Boston Marathon in 2011, her thoughts were on more than the many miles from start to finish. She was running to raise awareness and research funds to spare families what hers endured when her youngest sister, Laura Linehan, died at 20 after the wait for a liver transplant stretched too long. “For me, it’s just a great way to honor Laura’s memory, to give back and keep her memory alive,” Cara told an interviewer. Six years later, and just months after becoming a mother, Cara was diagnosed with lung cancer — a mistake of nature, her doctors said. 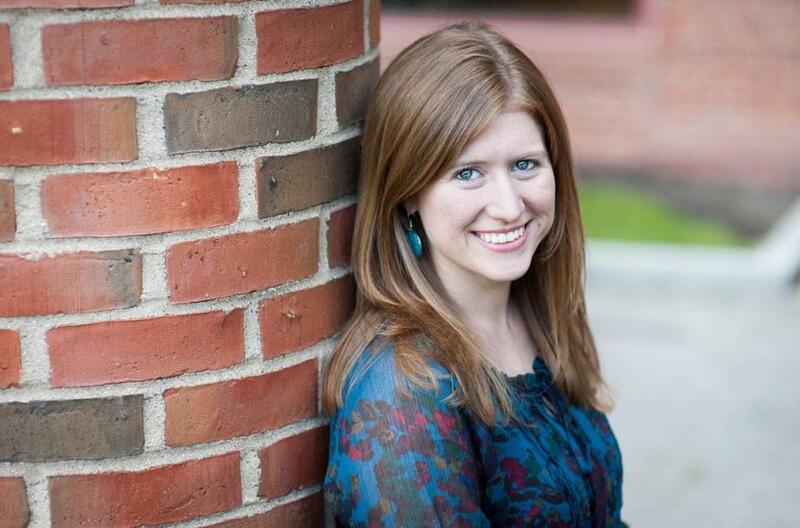 She died Tuesday at 34, a couple of years after moving back to the Melrose neighborhood where she grew up. She was a Division I swimmer in college, a respected coach at her high school alma mater, and ran races to boost her fund-raising total. When she died, her daughter, Claire Christine Buckwell, was 10 months old. 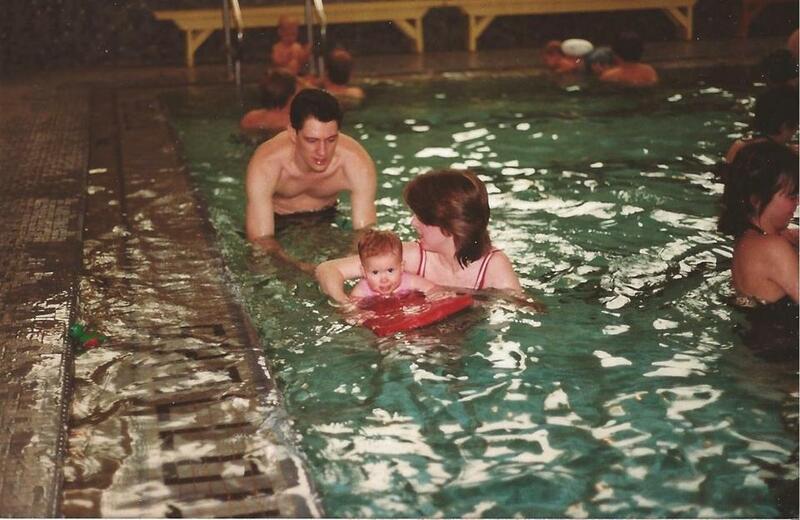 Cara Linehan Buckwell learned to swim as a baby with her parents, Ann and Jim Linehan. Determined as anyone could be to transcend impossible odds, Cara looked toward the future until the end. After being diagnosed in March, “she literally didn’t catch a break the entire time,” said her husband, Dan Buckwell. Because of Laura, who needed her first liver transplant at age 2 and died in 2008, “needless to say, Cara was an organ donor,” Dan said. Her illness ruled out certain organs, but Cara donated her corneas so someone might regain sight, and donated tissue samples for cancer research. Cara A. Linehan was the oldest of Ann and Jim’s three daughters and grew up in the Melrose neighborhood where her parents, husband, daughter, and sister all live. 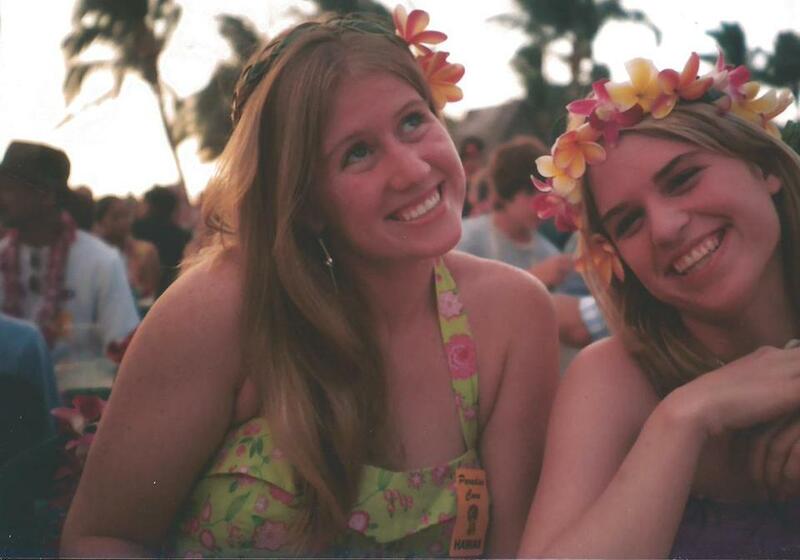 Cara and her youngest sister, Laura Linehan, in Hawaii in 2005 during a Make-a-Wish trip. She began swimming competitively in fifth grade, and after graduating from Bishop Fenwick High School in Peabody she was on the swim team at the University of Maryland, Baltimore County. She majored in graphic design, with an art history minor, and went to work as an art director at Vistaprint, most recently in Waltham. 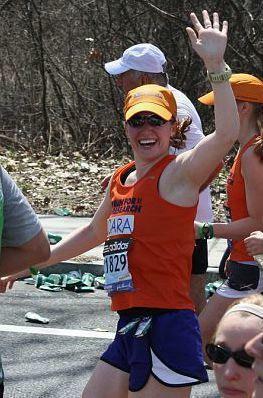 Cara Linehan Buckwell ran the 2011 Boston Marathon to raise money for liver research in honor of her late sister, Laura. Those overlapping circles of friends — from high school and college, from swimming and work, from Melrose and Boston — brought her together with Daniel Buckwell, who was from Hamilton and whom she met when they were freshmen at different colleges. “We first shook hands and said, ‘Hey, how are you,’ in 2001 but didn’t go on our first date until 2007,” he recalled. Known for her compassion, Cara was a mentor to newcomers at work and at Bishop Fenwick, where in 2016 the Globe honored her as the Division 2 girls’ swimming coach of the year, after she guided her team to repeated undefeated seasons. When Claire developed an allergy in her early months, Cara set aside many of her own favorite foods, including cheese pizza, while nursing. “She always said that after Claire grew out of her allergy, every Mother’s Day she was going to make Claire buy her a cheese pizza,” Drew said. In addition to her husband, daughter, parents, and sister, Cara leaves her grandmother, Elizabeth Linehan of Cambridge. A funeral Mass will be said at 10 a.m. Monday in St. Mary’s Church on Herbert Street in Melrose.